Vandy Vape has collaborated with Tony B to create the Pulse BF 80W Box Mod with the proprietary Vandy Chip, variable 80 watt output, multiple power output modes, and an 8ml easy-grip squonk bottle. The Pulse has an output of 5 to 80W, a 0.5 to 8.5V output range, 0.05 to 3 ohm resistance range in variable wattage mode, and a 0.05 to 1.5 ohm resistance range temperature control resistance mode. The temperature control suite supports Nickel, Titanium, and Stainless Steel, as well as a user defined temperature control mode, and a user defined temperature controlled curve set. The Vandy Chip also has power, bypass, and voltage output modes. These output modes, along with the selected output levels, atomizer resistance, battery life indicator, and puff counter are shown in a 0.91 inch OLED screen. The Pulse bottom fed system uses an 8ml easy grip bottle that is available separately in additional colors. This device also features a simple three button interface with one oversize firing button, and two adjustment buttons. The Pulse includes a set of magnetic battery doors that can be interchanged with other Pulse 80W Box mod doors (sold separately). The device is compatible with either 20700 (sold separately) or 18650 (sold separately) batteries with a battery adapter included in the device. The Pulse 80W has gold coated contact points, while squonk pin is a gold plated, spring loaded pin. The proprietary Vandy Chip has a set of safety features that include overheating protection, open circuit protection, short circuit protection, overcurrent protection, and overtime protection, and low battery warning. 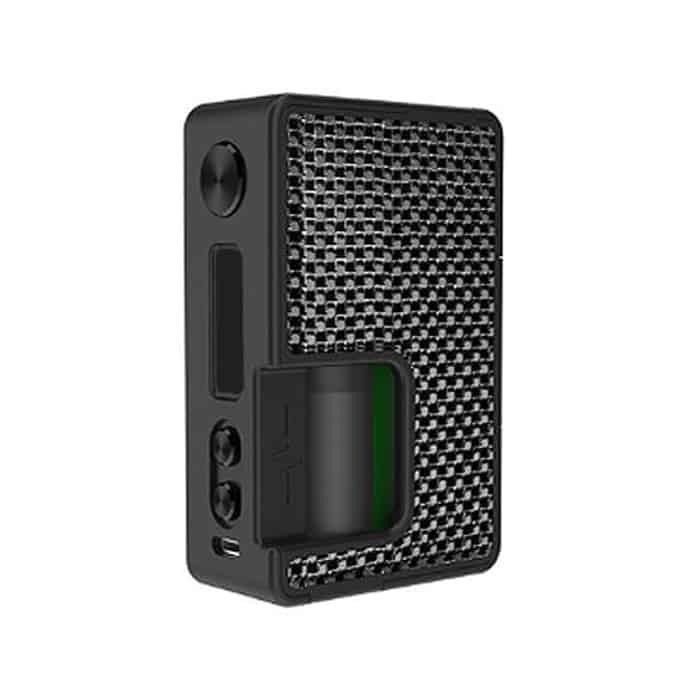 The Pulse BF 80W Box Mod by Vandy Vape x Tony B is a solid device for users looking for the convenience of a bottom-fed system, as well as the versatility of the Vandy Chip. Had mine for a year almost and still loving it what a well build little mod squonking on this device is so smooth.I recommend this one to all.